With a market capitalization of $480 billion at the end of January, Facebook pays co-founder and chief executive Mark Zuckerberg a paltry $1 (UGX3,683) a year. The chairman and CEO is paid a symbolic salary of $1 annually but his stake in Facebook has made him one of the world’s wealthiest people, worth some $62 billion. 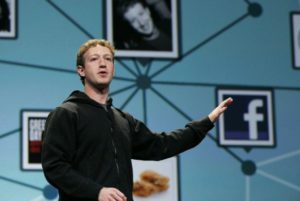 Zuckerberg controls 60 percent of voting shares through a dual-class stock structure in the California-based social networking giant which is turning 15 in February this year. AFP reports that in 2018, Facebook had a profit of $22 billion on $55 billion revenue with advertising making up some 98 percent of revenues. This is steady growth since its public share offering in 2012. According to available records, roughly half of Facebook revenues come from North America. Research firm eMarketer says, Facebook’s share of the global digital ad market will be 20.5 percent of an overall $327.28 billion spent in 2019. Records show that the company set aside $1 billion for taxes in the fourth quarter, giving it an effective tax rate of 14 percent. At the end of December last year, Facebook had some 2.3 billion monthly active users around the world. However, critics say this is an exaggeration. Although the company offers no country-by-country breakdown of its users, 947 million were in the Asia-Pacific region, 381 million in Europe and 242 million in North America. Others came from the rest of the world. Facebook continues to experience a series of scandals over data protection and user privacy, among others although the social network continuously denies the allegations.